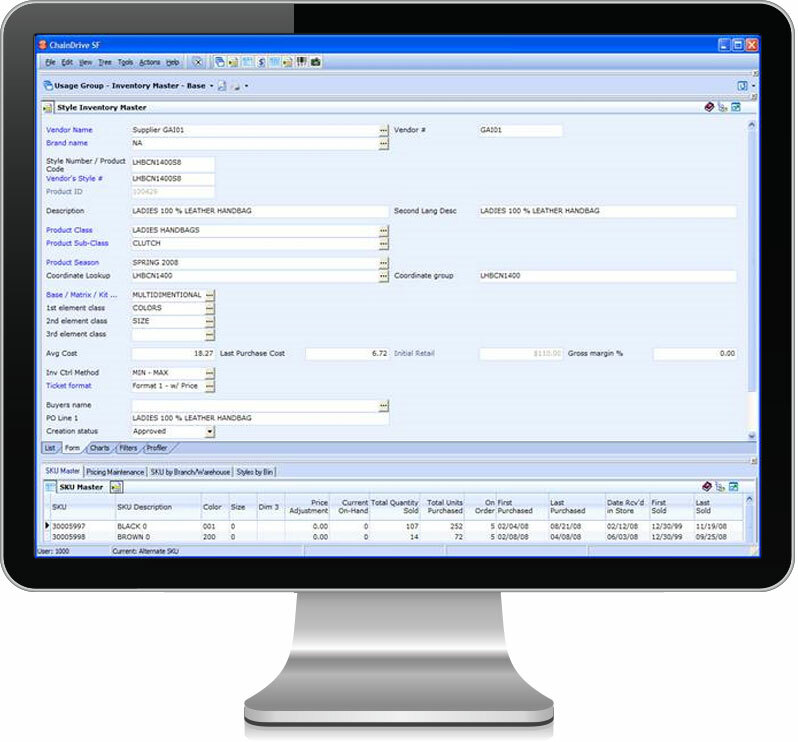 Control Inventory Levels and manage price points to maximize sales and profit. Thank you for your interest in ChainDrive Product Management! Please fill out the form to download the ChainDrive Product Management Fact Sheet. Want to see ChainDrive Product Management in action? Request a Demo! Manage all stages of your products lifecycle in real-time. 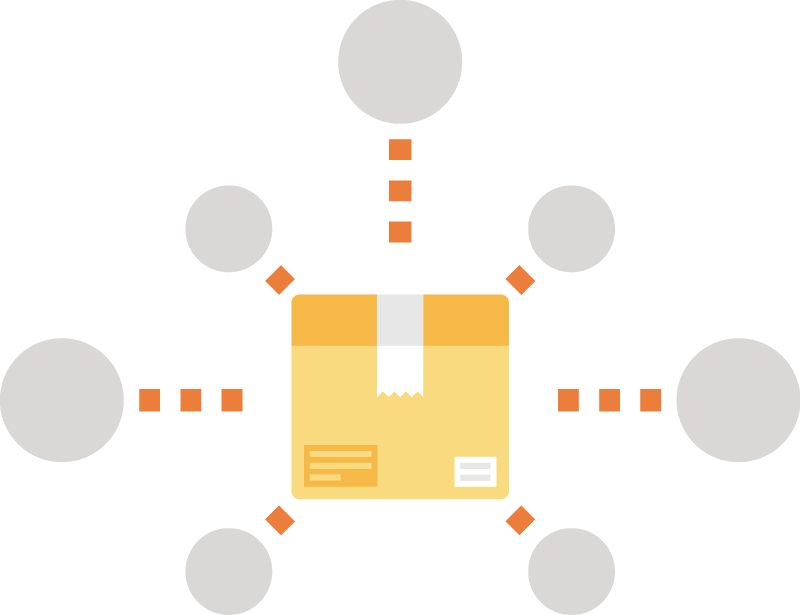 ChainDrive's real-time product management component seamlessly tracks the location and status of your merchandise at all times by simultaneously monitoring purchases, receipts, allocations, sales, transfers, in-transit, on-hands and related business analysis activity, regardless of location. ChainDrive's power tool, the matrix, centralizes and facilitates the complexities of supply chain management throughout the product lifecycle, providing you with all the necessary tools you need to effectively manage your most valuable asset, your inventory. ChainDrive's versatile structure allows for a multi-tiered approach to the pricing of your products. Whether you operate multiple banners, have locations that are geographically or demographically diverse, or wish to zone price, our system can handle it. 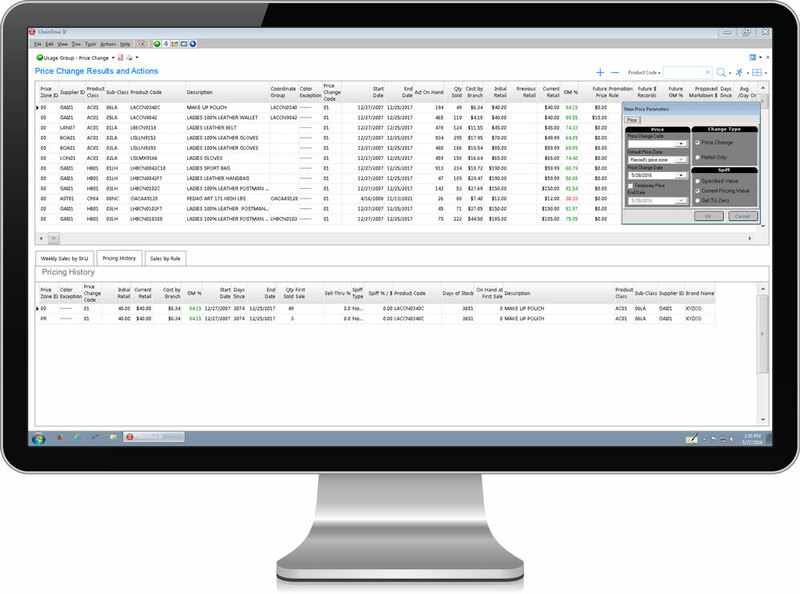 Our system's Price Management tool provides expanded analytical and reporting to aid in the monitoring and analysis of all price change actions, allowing you to access the effectiveness of your price change decisions over time. ChainDrive enhances your ability to correctly and specifically categorize your merchandise using user-defined attributes that are assigned directly to the product, enabling you to filter and analyze your merchandise based on criteria that you deem important. Whether you are initiating head-office inventory movement, consolidating stock, or requesting a special order from POS, ChainDrive's integrated functionality simplifies the task with tools designed specifically for this purpose. By utilizing user-defined parameters within the system settings, you can control the "from, where, and when" of all post-distribution stock movements and create simulations for review prior to taking action. In addition, the system has preconfigured functions that facilitate "mass recalls" and "many to one" stock consolidations. Know everything you need to know about your product (past, present and future). 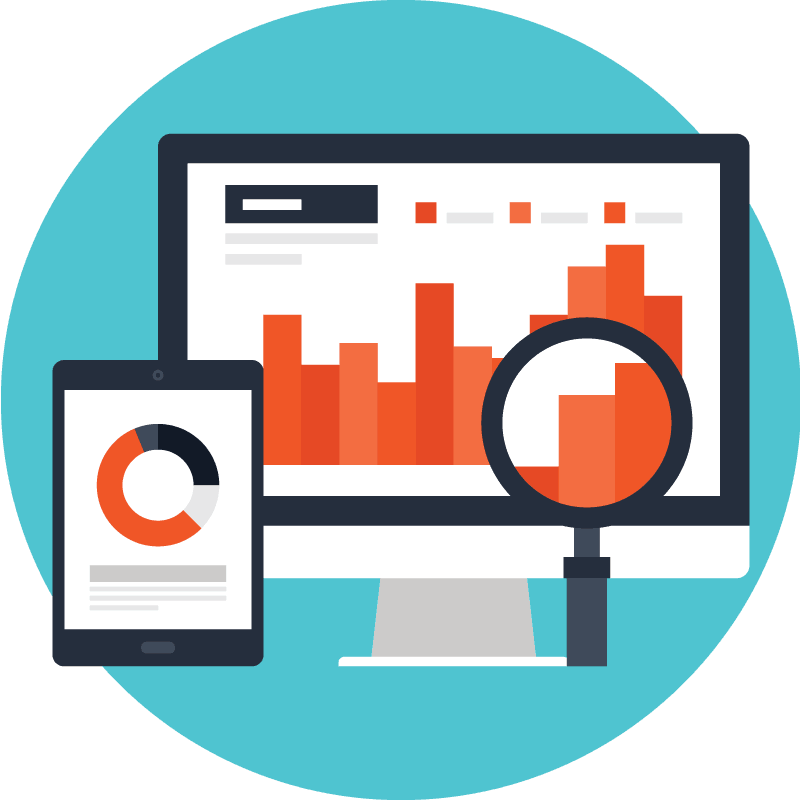 ChainDrive's Product Management component has extensive analytical tools, reports and performance metrics so that you can track, analyze and action products throughout their lifecycle. 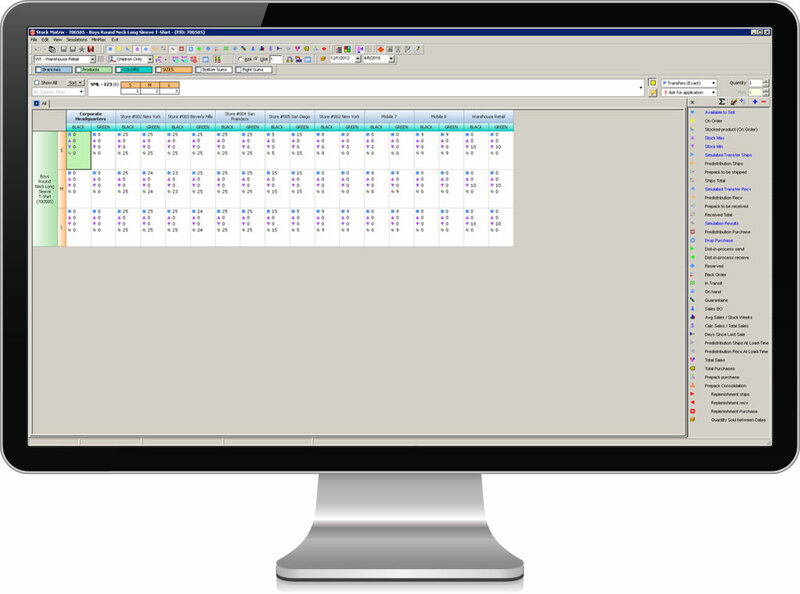 Designed to handle one or multiple products, our Matrix is the one stop module for purchasing, simulations, allocations, pre-distributions, transfers, and much more. With over 30 product data attributes available within one power module, ChainDrive has centralized and facilitated the complexities of product management, including the ability to measure impact prior to taking action and the tools needed to effectively manage your inventory.